Below you will find updates on Client Recognition and Company News. Bedrock Earthscapes, LLC values both the business and personal relationships we enjoy with each of our clients. It is a joy to see many of our clients being recognized for helping to enrich life through improving our environment. 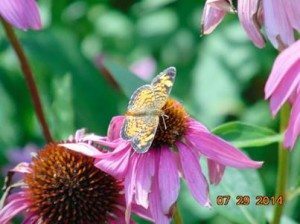 The following Bedrock Earthscapes, LLC clients have been recognized by the Conservation Foundation with certification through their “Conservation@ Work” program. Jim Kleinwachter of the Conservation Foundation is shown presenting a Conservation @ Work plaque to Doug Knerr, Provost of Roosevelt University. 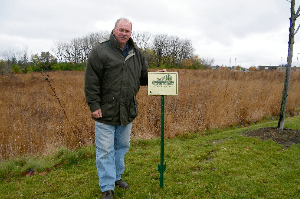 Roosevelt University has also been recognized as a Tree Campus USA, and as a Wildlife Habitat site. 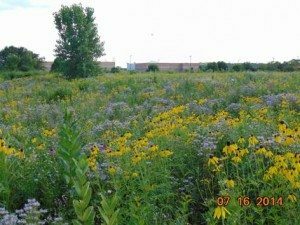 Under the direction of Mr. Paul Matthews, Assistant Vice President of Planning and Operations, Roosevelt University in Schaumburg has converted more than 8.5 acres of turf into prairies, bio-swales, native grasses, butterfly gardens, rain gardens, community gardens, pervious pavement and structured native plantings. 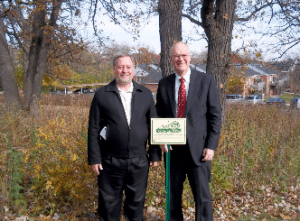 Tom Raak, Facilities Director, and Mike Frigo, Vice President of Mayslake Village in Westmont, standing in front of their restored oak woodland area. 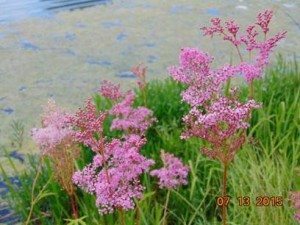 Mayslake Village was also recognized by “Clean Air Counts” for converting over three acres of turf into native plantings, thereby reducing mowing emissions and encouraging carbon sequestration by native plants. Mr. Pete Lindner, Facilities Director at Wheaton Christian Grammar School in Winfield in front of his 7+acres of recreated native areas. In addition to extensive native areas, Wheaton Christian Grammar School also has a geothermal system to help heat and cool their building. 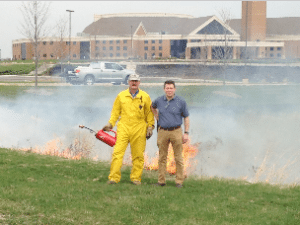 G. John Morris, Director of Operations and Facilities at the Wheaton Bible Church, standing with Bill Bedrossian of Bedrock Earthscapes, LLC during a prescribed burn of the Wheaton Bible Church native areas. 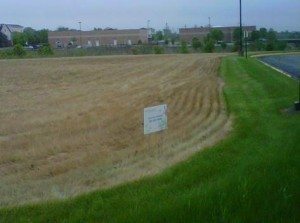 As part of his total facilities responsibilities, G. John Morris is responsible for Wheaton Bible Church’s 13+ acres of created native areas including two prairies, six ponds, bio-swales, and several no-mow turf areas. 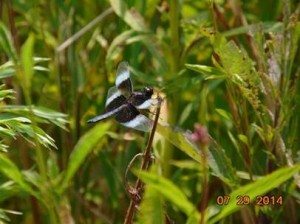 In addition to recognition by the Conservation Foundation, two of Bedrock Earthscapes, LLC clients have benefitted by receiving matching grant awards from “Trees Forever“. 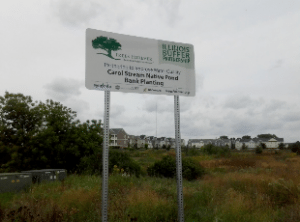 The Village of Carol Stream was recognized by “Trees Forever” for two years in a row with matching grants to enhance its native pond bank plantings that contribute to improving stormwater run-off water quality. 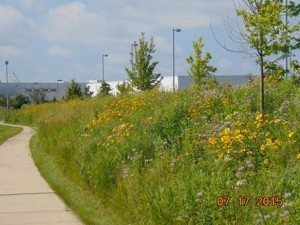 The Village of Carol Stream has been a leader in the use of natives as a Best Management Practice for decades. 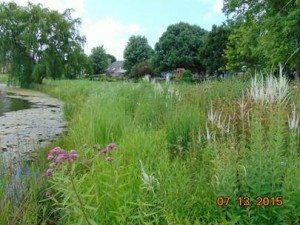 Judson University in Elgin was awarded a “Trees Forever” matching grant to help restore its Tyler Creek floodplain area using native plants to help prevent soil erosion and to improve the floodplain habitat. 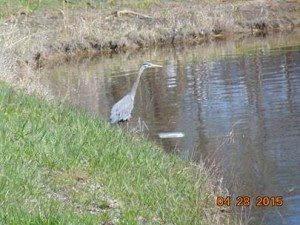 Judson University has been removing invasive species and reclaiming its wooded areas over the last three years as well. 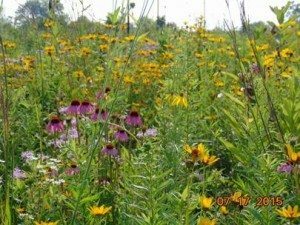 Economic – Maintenance expense is lower for areas converted from traditional landscapes into to native plantings, and can typically be paid for out of savings from existing maintenance expenditures. 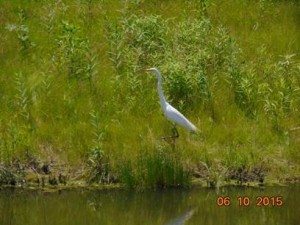 Environmental – Native areas require less fertilizer, herbicide, fuel and labor to maintain. 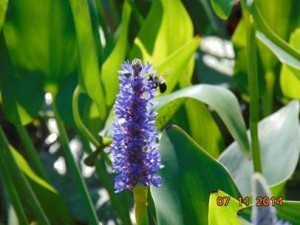 They add beauty and biodiversity. 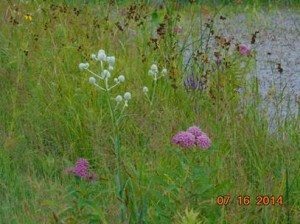 Native plants have deep roots that absorb water and help reduce site runoff by up to 80% over traditional turf landscapes. 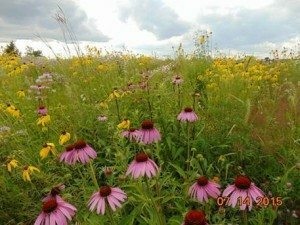 Social – Corporate Social Responsibility is visibly demonstrated by your native plantings and sustainable site practices as you use less of limited resources and produce fewer pollutants. 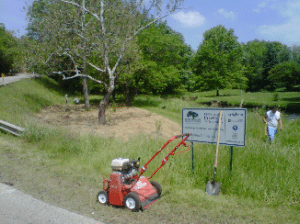 Bedrock Earthscapes, LLC provides high quality maintenance of natural areas and created native areas. We offer a high level of experience and expertise to commercial, municipal and institutional organizations. We take pride in providing responsive and personalized customer service. 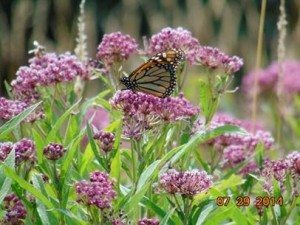 In addition to native area maintenance, we also use native plants and sustainable water conservation methods to design, install and transform existing landscapes into environmentally sustainable, beautiful and cost effective earthscapes. 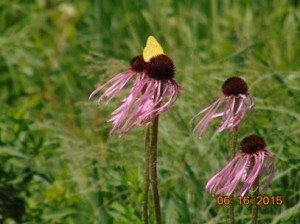 If there is anything we can do to help you with improving those areas, or adding new native areas, please let us know. The following link will take you to a few videos of a Bedrock Earthscapes prescribed burn in progress. 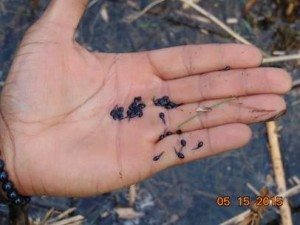 It shows the use of a wetline to control the edge of the prescribed burn, and the intense heat that is generated by a prescribed burn of native areas. Wheaton, Carol Stream, West Chicago, Hoffman Estates, Naperville, Downers Grove, Schaumburg, St. Charles and surrounding areas.